Below are examples of pottery made with coils from different artists and cultures. Which is your favorite and why? Leave a comment in the box below. If you have a Google account, the blog might recognize you. If not, sign in under "Anonymous" and MAKE SURE TO SIGN YOUR NAME. Otherwise, you won't get credit. 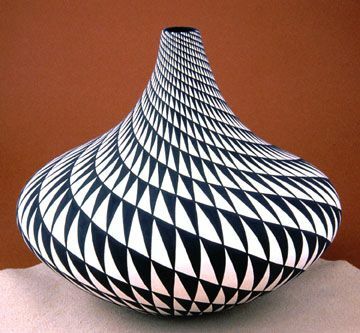 My favorite pot is the last one with black and white triangles that goes slimmer to the top because it looks like an optical illusion. My favorite one is the last one because of the pattern and shape of the pot. 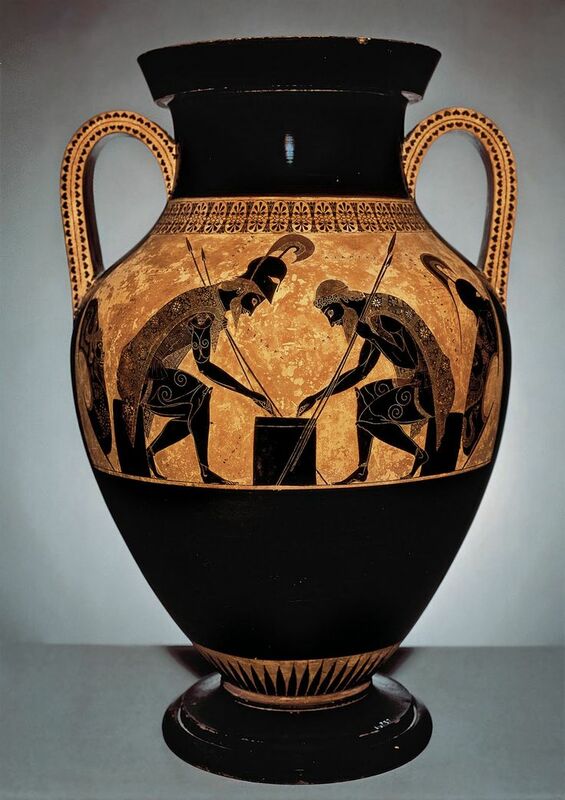 I like the greek pot. The design on the front of it is pretty cool. I like the Egyptian Canopy Jars because of the designs on the faces as well as on the pots themselves. They're very distinct and intricate. My favorite is the black and white one because of its design and shape. My favorite one is the Acoma Pueblo because of the color shape and design. 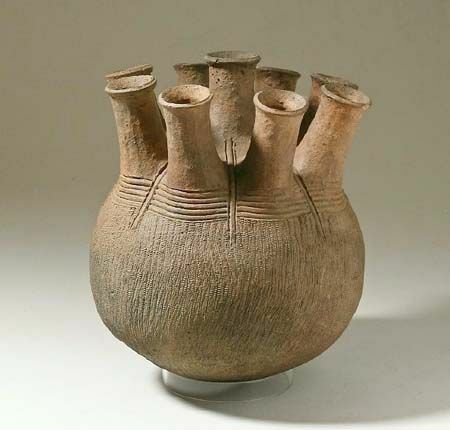 My favorite pot is the first one because of its shape and design. My favorite pot is the last one. the design is really cool. I love all of the beautiful sculptures, but my favorite one is the first one, because of the different color combination, and the clear viewing of the pictures on it. All of these art sculptures are very beautiful and are very unique in their own way! This is a hard choice but my favorite would have to be the African pottery because of the different tubed looking things coming out of the top make it so interesting. My favorite would be the Egyptian Canopy Jars. They just look really interesting and like they have a dark history. I really like the African pot because of it's unique shape, design and pattern. I favorite pot is the black one because it is shiny and looks very different and original. my favorite pot is the African one. It seems to have the most character and i like all of the unique designs on it with all the different holes coming out of the pot. My favorite on is is the 4th one. Its has really cool patterns on the pot. I like the last one it is a really cool design. 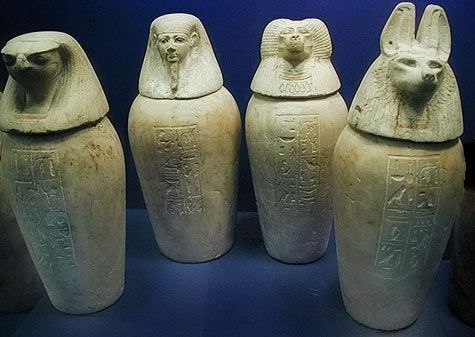 My favorite one is the Egyptian canopy jars because it has a history and cool desins. I enjoy the first one since the patterns and figures on it really drags me into it. Also the color scheme(black and gold) is definitely classic.